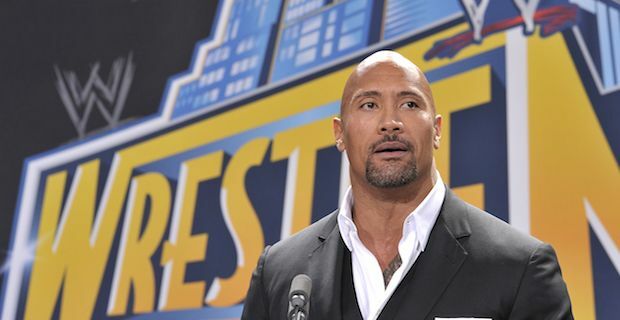 The Royal Rumble was full of surprises this past weekend as The Rock made a big appearance and Roman Reigns secured a shot at Brock Lesnar's title at Wrestlemania. Philadelphia played host to an ultimately disappointing show where Reigns won out to a chorus of boos in the stadium and online. Nevertheless, Reigns will get his chance to dethrone Lesnar and walk away as WWE Heavyweight Champion at Wrestlemania 31. Reigns was put through his paces in the nights main event and fought his heart out to overcome challenges from big stars Kane and The Big Show to emerge victorious in the evening's main event. He didn't do so without some help though as The Rock stormed into the arena to lend a hand while Show and Kane were handing Reigns the beating of a lifetime. Rock promptly delivered a few smackdowns and even found the time to deliver a People's Elbow before Reigns was announced the winner much to the fans' disgust. Lesnar was involved on the night in a triple threat matchup with John Cena and Seth Rollins where things were far from all in his favour. Rena and Rollins both had magical moments where it seemed like they could beat Lesnar but alas, the beast dug deep and nullified the threats on his way to a big statement win. It really seems though that everything is not rosy for the WWE after #CancelWWENetwork was trending worldwide in the aftermath of the event. Fans took the opportunity to slate the company for poor writing and a heavy reliance on big names rather than utilising the young and upcoming stars on the roster. They duly took out their frustrations on the company's new online subscription based service which they feel is not offering value for money.